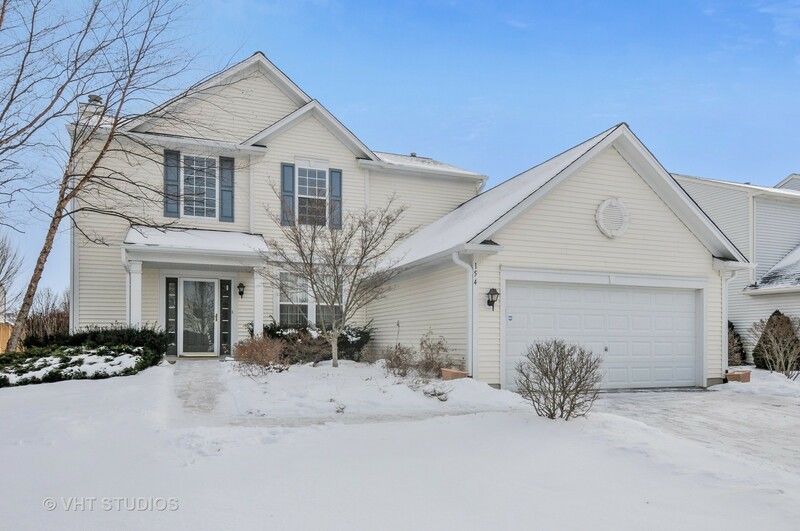 Beautiful move-in ready 2-story home with 3 beds/3.1 baths with ample living space. NEW roof in 2018. Almost 1,800 sq feet plus a full finished basement with full bath. Brazilian Cherry Hardwood floors throughout most of the home. Charming gas fireplace, neutral colors and modern light fixtures. Well kept kitchen with island and extra tall cabinets. New dishwasher (2017). Breakfast area with sliding door to brick paver patio and backyard. Master bedroom offers en-suite bath with separate shower and tub and a huge walk in closet. Attached 2 car garage. Great location close to amenities. A must see.